Anyone who has suffered from an addiction to drugs or alcohol knows how difficult it can be to try and quit. Addiction is complicated. In many instances, even if a person wants to quit using, it can feel impossible. For the countless people who find it too difficult to quit on their own, seeking help at an addiction recovery centre can offer the freedom from addiction they deserve. What Are the Benefits of Getting Help at an Addiction Recovery Centre? Getting professional help is often necessary when it comes to treating addiction. Because addiction is so complicated, it can leave people feeling helpless when they’re trying to quit using drugs or alcohol. Going to an addiction recovery centre can make the process of overcoming addiction much easier than doing it alone. Addiction is a complex problem that is much more involved than a person feeling the need to drink or do drugs. There are many reasons a person becomes an addict. In order for a person to overcome an addiction for good, the reasons behind their addiction must be addressed. The professional help a person receives when attending an addiction recovery centre not only addresses the reasons behind the addiction, but offers various treatment options to help a person overcome these problems for good. What Are the Different Addiction Recovery Centre Options? Addiction affects everyone differently. Different people also respond to treatment in different ways. Addiction recovery doesn’t come in a one-size-fits-all approach. There are countless options a person has when choosing an addiction recovery centre. From basic outpatient services to luxury private rehab facilities, there is truly something for everyone seeking help for addiction. When a person chooses to go to an inpatient addiction recovery centre, they will stay at the treatment facility while getting the help they need. In an inpatient setting, patients will have either a shared or private bedroom and receive all therapy and treatments at the recovery centre. Inpatient recovery is considered the most intensive type of addiction treatment available. Inpatient addiction recovery can be extremely beneficial as it removes a person from the environment they’re accustomed to using drugs or alcohol in. Relapse can happen quickly when a person is around the people and places that trigger the urge to use drugs or alcohol. When a person stays at an inpatient addiction recovery centre however, they are removed from the temptation that can easily lead to relapse. 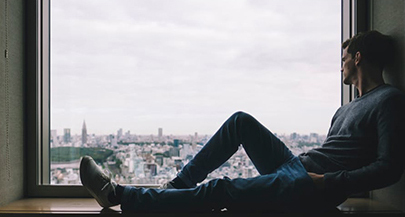 For people who cannot get away for treatment, but still want to get help with their addiction, outpatient recovery can be the perfect solution. When a person goes to an outpatient addiction recovery centre, they stay at home the whole time they get treatment. All therapy and treatment is done at specific times throughout the week at one or more various locations. A person might go to therapy in one place and go to different treatment appointments somewhere else. An advantage of going to an outpatient recovery centre is the flexibility it offers the person getting help. For those with family, work, or school obligations, outpatient help can be an excellent choice. Because it does not remove a person from the environment they’re accustomed to using in however, it’s vital they go to each appointment and stay strong in their determination to quit using drugs or alcohol. Because of this, outpatient centres are best suited for those with mild cases of addiction. What to Expect When Going to an Addiction Recovery Centre? While each recovery centre will be different based upon their own core values and philosophy, there are certain things a person can expect when getting help through the recovery process. After a person has gone through the intake process, the first step of addiction recovery is to go through detox. This is the withdrawal process from whatever substance a person is accustomed to using. Detox typically lasts for 24-72 hours, but can be longer depending on the nature of a person’s addiction. It isn’t until a person has gone through the withdrawal process that they can continue with the recovery process and get the additional help they need. Therapy is an integral part of addiction recovery. Not only does talking to a professional therapist or counsellor help a person better understand their addiction, but also helps them work through the problems that led to it in the first place. Addiction often stems from trauma or pain, and while uncovering these memories can be difficult, it is nothing compared to living with an addiction for the rest of a person’s life. Therapy offers the insight and guidance a person needs to overcome addiction for good. Aside from individual therapy, a person will most often go to group therapy sessions when they’re getting help at a recovery centre. 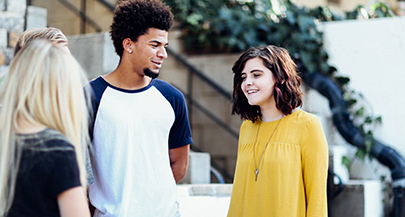 Group therapy can offer the connection an addict needs, as well as insight from others who have shared a similar experience. There are many various treatment modalities that have been designed with addiction recovery in mind. The type of treatment a person receives will be contingent upon both their personal needs and the various options for treatment available at the treatment centre. Various types of addiction treatment will help a person discover new ways of coping with stress, different relaxation techniques, new ways of problem solving, different strategies to change patterns of thinking and behaviour, and tools to help them sustain sobriety once they have finished the recovery programme. Aftercare is an extremely important aspect of addiction recovery that should not be overlooked. Aftercare picks up where recovery treatment ends, providing continued support to those who need it most. For many, addiction recovery is a lifelong process. Aftercare offers continued therapy and various treatments that help a person through recovery and strong in their desire to sustain sobriety. 12-step programmes are an integral aspect of aftercare programmes and have helped countless people maintain sobriety once addiction recovery treatment is over. How Long Does Treatment at a Recovery Centre Last? Treatment at an addiction recovery centre typically lasts 30 days. Treatment is designed to help a person overcome their addiction in four weeks, as well as offer them the tools necessary to sustain sobriety when treatment is over. For those who need longer to recover from their addiction however, there are also 60 and 90-day options available. Everyone responds to addiction recovery differently. While one person might find solace from their addiction in four weeks, others will need more time. A person who has finished treatment at an inpatient addiction recovery centre will often go to an outpatient centre when released when they feel they need more help. The length of time treatment takes is entirely dependent upon each individual, but typically four weeks is long enough to start and stabilize the recovery process. With the many different options a person has for addiction recovery, there is truly something designed for everyone who desires to overcome their addiction. Not only are we in touch with various recovery centres throughout the UK, but are also here to answer any questions you have regarding you or a loved one’s addiction. We believe that everyone suffering from addiction should be able to have access to the help they need. Whether you are looking for options to get help at an addiction recovery centre, or simply want to talk to someone about your addiction, we’re here to help. We have professionals available 24 hours a day, 7 days a week to help you through your addiction and realise the freedom you deserve.